Why is it important to get a personal injury lawyer rather than a lawyer who simply dabbles in personal injury law? Personal Injury Law is complicated and ever changing. A personal injury lawyer focuses on in personal injury law and keeps up to date with changes in the law better than a dabbler. A Personal Injury lawyer knows how to deal with insurance companies and the games they play. Dabblers don't. When a problem is serious, doctors refer their patients to specialists with knowledge in those areas, such as psychiatrists, neurologists, cardiologists or surgeons. Personal Injury Lawyers are the specialists of their trade. Dabblers don't have the same experience. Would you trust your heart surgery to somebody who dabbles in heart surgery, or to a proper heart surgeon? Insurance companies know the lawyers who dabble in personal injury law. They won't hesitate to take advantage of them. A Personal Injury Lawyer has the contacts and connections to send you to the right doctors at the right time to get the most out of your case. A dabbler doesn't. The key to success is law is to do one thing, really really well. A good personal injury lawyer has established their reputation in the field of personal injury law by doing their job well time and time again. A dabbler hasn't. There's a reason the dabbler dabbles. In Canada, we are fortunate to have a universal health care system. Many services are covered by OHIP. But others services are not. When an accident victim needs services which are not covered by OHIP, a personal injury lawyer will help the injured party get the insurance company to pay for those services. All of these services will assist the injured party in their road to recovery. Many accident victims find that working with any of the therapists, doctors, or counselors mentioned above is very helpful towards achieving their rehab goals. 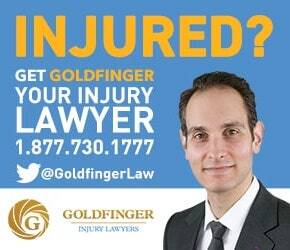 A personal injury lawyer, such as the lawyers of Goldfinger Injury Lawyers, can help set you up with the right rehab professionals to ensure that you get the best treatment possible. Do I have to pay the rehab professionals for their treatment? The health care provider submits a Treatment Plan on one of those confusing Accident Benefit Forms (OCF-18). The form is then submitted for approval to the insurance company. The insurance company, then acts as judge, jury and executioner and determines whether or not that treatment plan is "reasonable and necessary". If the insurance company deems the treatment plan to be "reasonable and necessary", then the treatment plan is approved and the injured party can get treatment. If the insurance company does not deem the treatment plan to be "reasonable and necessary", then the treatment plan is denied and the injured party either won't get treatment, or will have to pay for the treatment out of their own pocket if they have the means to do so. This can be very costly for the injured party to do because this treatment is expensive. This system, whereby the insurance company determines on their own whether or not the treatment plan is "reasonable and necessary" angers many accident victims because it puts all of the power in the hands of the insurance companies. A good personal injury lawyer will sue the insurance company in the event a treatment plan is denied to ensure that their client, the injured party, gets the treatment which they deserve.